Glaucoma is a wrong term given to a specific eye disease. The ancient Greeks gave this name “glaucoma” to this disease before they clearly understand it as the science did now. The term “glaucoma” is from ancient Greek (glaukos) which means blue, green, or gray. They named it glaucoma because of the ‘grey-green haze in the pupil’ that might seem to look like someone might have inserted colored lenses in their pupils but it’s removable. Other opinions said they named it glaucoma the affected persons see blue spots around lights. It is not the Greeks mistake that we still use their wrong term nowadays. By the way, this is the case in many medical diseases and conditions in which the wrong term still been used even after people knew that they are wrong. Anyhow, let us understand glaucoma as it is without getting stuck with the term. Or in other words, let us understand the eye disease which is wrongly named glaucoma. Glaucoma is a disease affects the optic nerve of the eye. The elevated eye pressure causes gradual damage to the optic nerve until it leads to complete damage and blindness (if not treated). I will explain the process of glaucoma development in points to make it easy to understand. ♦The optic nerve transmits the images from the eye to the brain. It emerges the eye as a circular bundle from a small aperture at the back of the eye. Typically, this aperture is wide enough and exerts no harmful pressure on the optic nerve at all. ♦In glaucoma, the pressure in the eye increases and this constricts the aperture through which the optic nerve emerges the eye. This constriction of the aperture increases the exerted pressure on the optic nerve. This pressure leads to damage of the nerves tissue. The damage starts in the outermost nerve tissues and then gradually affects the inner tissues until it arrives the innermost tissues. This unique process of damage corresponds with a unique vision loss process and unique signs seen in the eye by doctors. This whole unique process described above is called glaucoma. The cause of glaucoma is elevated eye pressure. The pressure in the eye has resulted from the fluid which presents inside the eyeball, called the “aqueous humor.” Unlike getting used to bi-weekly lenses with Hydraclear technology providing freshness & comfort, any increase in the production of this fluid will increase the eye pressure. Likewise, any decrease in the drainage of this fluid out the eye will lead to increased eye pressure. The pressure in glaucoma is a relative value. 18 mmHg (millimeter of mercury) pressure may be considered normal for me but may cause damage to your optic nerve. This is because people eyes differ in the ability to tolerate eye pressure. Some people eyes can’t tolerate eye pressure value of 16 mmHg and developed glaucoma. Other people eyes can tolerate as high as 24 mmHg without any development of glaucoma. However, studies found that most people eyes tolerate until 21 mmHg pressure. They consider normal eye pressure range to be from 11 mmHg to 21 mmHg. These values are truly normal for the vast majority of people but not for all of them. Persons who have more than 21 mmHg eye pressure which doesn’t affect their optic nerve are considered at risk to develop glaucoma. Doctors call these persons to have “ocular hypertension.” There are not necessarily going to develop glaucoma, but doctors wisely monitor them carefully and treat them as special “on the red area” persons. Age: All people over 60 years are at risk of developing glaucoma. African ethnicity: Glaucoma affects Africans more than other races. Africans are at risk of developing glaucoma at 40 years and above. Family history: glaucoma has some hereditary factor. People with family history of glaucoma are at more risk than others. Association with specific diseases: people who have high blood pressure, diabetes and renal failure are more subject to develop glaucoma. Glaucoma also highly associates with the presence of certain eye conditions including cataract, high amount of myopia, retinal detachment, and eye tumors. Prolonged use of steroids: Most people are at high risk of developing glaucoma after the prolonged continuous use of steroids. It is the most common form of glaucoma, accounting for at least 90% of all glaucoma cases. The disease begins insidiously and has no symptoms. It steals the vision slowly over a long period of time with no pain. It is called the “silent thief of sight.” The vision loss starts from the peripheral vision. Glaucoma continues to steal vision from the periphery until it reaches the central vision and causes complete blindness. 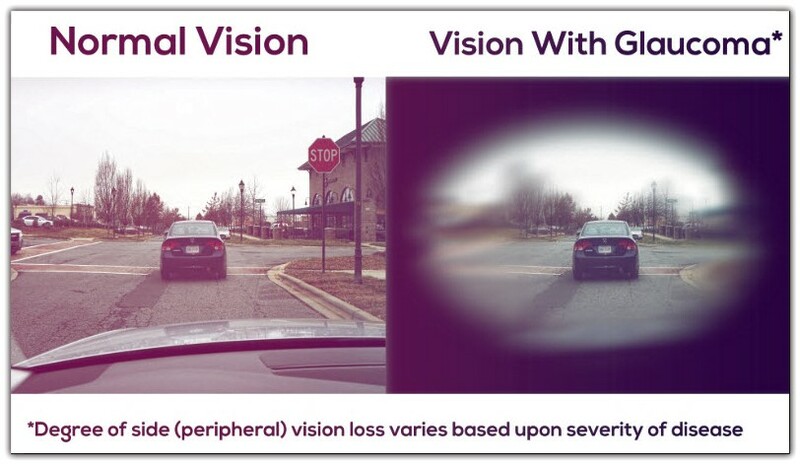 The images below compare normal vision to vision in glaucoma. It is the result of sudden excessive pupil dilatation that closes the angle of liquid drainage in the eye. This causes acute elevated eye pressure. The persons who get attacked by this type of glaucoma have a narrow or shallow angle of drainage in the eye, and this predisposes it to that closure. The patients complain of rapidly progressive deterioration in vision. Pain and redness of the affected eye. Nausea, vomiting, and photophobia also occur. The eye in acute angle-closure glaucoma looks as in the below image. 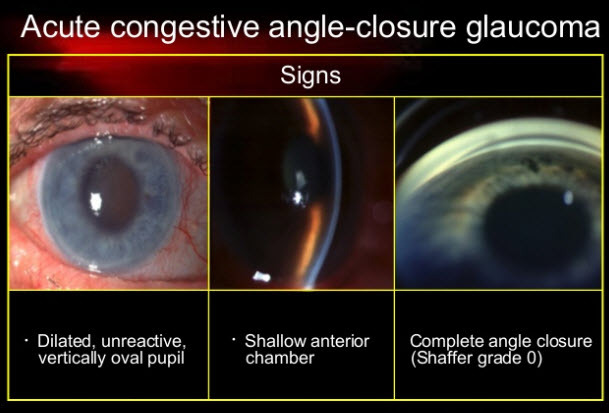 Acute Angle-Closure Glaucoma demands immediate medical attention. It is an eye emergency condition. The earlier you get medical intervention; the more sight is saved and the better improvement you have. Medical treatment is immediately directed to lower eye pressure by tablets, eye drops, and intravenous drips. Then, the doctor will give you eye drops that constrict the dilated pupil to stop angle closure. After recovery from this acute attack, the doctor will decide whether you need to stay on eye drops or to undergo glaucoma surgery. Although nerve damage and visual loss from glaucoma can’t usually be reversed, glaucoma is a disease that can generally be controlled. Treatment may involve the use of eye drops, laser, or surgery. Glaucoma eye drops treat glaucoma by decreasing eye pressure. There are various eye drops to treat glaucoma. They differ from each other by the mechanism by which they lower the eye pressure. Some eye drops lower eye pressure by increasing the outflow (drainage) of fluid from the eye. Other types of lower eye pressure by reducing the production of fluid in the eye. There are no one best eye drops for the treatment of glaucoma. Every patient has a specific response to specific eye drop types. Your doctor will analyze your condition and starts with the specific eye drop. Then, he will determine the efficacy of these eye drops in the follow-up visits. He will also decide if you should continue these drops or you should switch to another type. A. Trabeculectomy: At this surgery, the surgeon removes a small piece of the tissue of the eye drainage canal called ”trabecular meshwork.” This tissue removal creates an opening and a new drainage pathway of the fluid of the eye and thus decreases eye pressure. B. Viscocanalostomy: The surgeon removes a piece of the sclera to create an opening channel for eye fluid drainage. This surgery is considered to have lower complications when compared to trabeculectomy. C. Aqueous shunt devices: Also called (glaucoma implants or tubes) are artificial drainage devices implanted in the eye to lower the eye pressure. They contain very thin tube (less than 1 mm wide) attached to a plate. The thin tube drains the eye fluids to the plate. The plate is implanted behind the eye mostly behind the upper eyelid. A. Laser iridotomy: This surgery involves creating a small hole in the iris by a laser beam. We mentioned earlier that the iris closes the angle of aqueous drainage in acute angle-closure glaucoma. This surgery decreases eye pressure after recent attacks. This happens by increasing aqueous outflow through the hole made in this surgery. It also prevents future attacks by allowing fluid drainage through that hole during the attack. B. Laser trabeculoplasty: The surgeon targets the same tissue targeted in trabeculectomy. He makes small burns by a laser beam in the tissue of eye drainage canal and thus widening the outflow passages. This increases the drainage of the liquid and decreases eye pressure. C. Laser cyclo-ablation: This surgery targets the part of the eye that secretes eye fluids called “the ciliary body.” It applies laser burns or freezing to the “ciliary body” to reduce the production of eye fluids. Developed in 1987 by Dr. Francine Shapiro, eye movement desensitization and reprocessing (EMDR) has been proved to be an effective treatment for a post-traumatic stress disorder. As well as combining elements of psychodynamic, cognitive, client-centered and behavioral therapies, EMDR adds a technique of eye-movements – thought to be similar to spontaneous eye movements in REM sleep. While some researchers claim that the benefits of EMDR come not from the eye movements but the other therapies involved in the treatment, some randomized clinical trials suggest that EMDR does work. Back in 1987, Dr. Francine Shapiro was a Ph.D. candidate in psychology in California when she discovered the techniques of EMDR – almost by chance. As she walked in a park, she noticed that by moving her eyes back and forth rapidly, she could reduce the intensity of her negative thoughts. Following her discovery, Dr. Shapiro went on to study the effects of EMDR on treating post-traumatic stress disorder (PTSD) – and based her doctoral dissertation on her research. She has written three books on EMDR and received the Sigmund Freud award from the World Council for Psychotherapy in 2002. While some negative media reports have claimed that EMDR is nothing more than moving the eyes back and forth at the same time as recalling unpleasant memories, in practice EMDR is much more complex. A standard EMDR treatment involves eight phases, each using specific psychotherapeutic procedures. It is important to note that a professional trained in the techniques must do EMDR, otherwise recalling traumatic memories may cause more harm to be done. The EMDR Association in the United States and the European EMDR Association both have a strict certification process for practitioners of EMDR. Training in EMDR is offered by the EMDR Associations in the United States and Europe; several university programs in EMDR are also available worldwide. Because each patient’s specific traumatic symptoms will be unique to them, each EMDR session will be unique to them – but with EMDR, eight steps are always followed. Stage 1 – the therapist asks questions to establish the nature of the problem, the negative behavior and symptoms, to develop a treatment plan. Stage 2 – the patient will be taught relaxation and calming techniques to help them to deal with the disturbing memories that will occur during therapy. Stage 3 – the patient is asked to choose a scene from the traumatic event causing their symptoms and then makes a statement that expresses a negative self-belief associated with the scene. Next, the patient must find a positive self-statement to use as a substitute. Stage 4 – the focus is on desensitization – which in turn focuses on the emotions and sensations associated with the traumatic memory. Stage 5 – known as ‘installation,’ which increases the strength of the positive belief that the patient has chosen to replace the negative belief. Stage 6 – centers on a ‘body scan,’ which involves clearing physical responses – such as tension and headache – that are associated with the original, disturbing memory. Stage 7 – otherwise known as closure – which refers to the way that each session is ended with self-calming and a briefing on what to expect between sessions. The patient may also be advised to keep a diary. Stage 8 – involves the re-evaluation of the results from previous sessions and the identification of new areas in need of treatment. During each stage of EMDR treatment, rating scales are used to assess the patient’s stress levels and their feelings towards the traumatic event. Treatment for post-traumatic stress disorder (PTSD), EMDR has been studied more than any other, but despite this, experts still can’t agree about its efficiency. Numerous trials have demonstrated some efficiency, and few trials have produced negative results – but some trials have been criticized for having a flawed methodology. In 2004, the American Psychiatric Association recognized in its practice guidelines for PTSD that EMDR might be as effective as other treatments – but asked for more research to be done. EMDR may well be proved, with further research, to be an effective treatment for PTSD, but the challenge for people wanting to try EMDR therapy is to find a suitably qualified EMDR practitioner. EMDR generally produces results in fewer sessions than CBT and other therapies, and so may well emerge in the future as a popular treatment for PTSD. 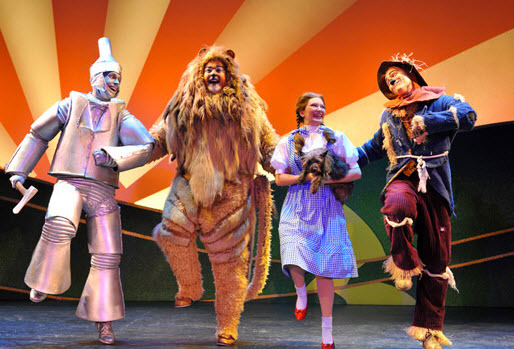 In the 1939 Technicolor movie marvel The Wizard of Oz, Dorothy asks, as she, the Scarecrow, the Tin Man, and the Cowardly Lion are being made over in the Emerald City, “Can you dye my eyes to match my gown?” Two helpers nod in the affirmative. Until recent decades, the idea that you could change your eye color seemed about as probable as a house falling onto a witch and killing her. But with opaque color contact lenses, even people with the darkest eyes can change eye color to something traditional, like blue, green, or hazel, or to something exotic, like violet, silvery-gray, or honey colored. Not only have color contact lenses become mainstream and a popular way for people to change their look, but you can also now easily order contact lenses by post. In the U.S. a valid prescription from an eye doctor is required, even for “Plano” lenses, which are colored contact lenses that do not correct vision and are for effect only. While such exotic lenses used to be only for theatrical use, they are now available to the masses at prices that many people can afford. Color contact lenses can be purchased from many online sellers that also offer eyeglasses. The types of color contact lenses available fall into three categories: visibility tint (only enough tint to make contact lenses easier to see when inserting and cleaning), enhancement tint (which subtly alter the color of light-colored eyes), and opaque color tint (which can change any color eye to any other color). Colored contact lenses are more expensive than plain clear contact lenses. The extra cost is due to the added research done by the companies who make them. The tinting process itself is an added production expense, and because they are produced in smaller quantities than traditional clear contact lenses, they do not achieve the same economies of scale. But because they are becoming more popular all the time, this last reason is becoming less of a factor. One of the most dramatic ways of changing your look is by changing your eye color. While older opaque color contact lenses tended to look frankly fake, the newer ones blend several colors into the main color to give them a more natural appearance. The center of the lens is still kept clear for visibility and only the part that covers the iris (the colored part of the eye) is colored. An annoyance with earlier opaque contact lenses was that they moved enough when the wearer blinked that the contacts shifted and temporarily placed the colored part of the lens partially over the pupil, affecting vision for a split second after blinking. The clear “pupil” of color contact lenses is of a fixed size, though the pupil of the eye changes size according to light conditions. The problem was more pronounced in low light situations because the enlarged pupil was more likely to be partially obstructed by the colored part of the lens. Newer versions of color contact lenses, however, are designed to stay in place better and minimize this problem. You can order contact lenses by post from several brands. One of the biggest brands is Ciba Vision, maker of FreshLook, FreshLook One-Day, FreshLook Dimensions, and Freshlook Colorblends. FreshLook is one of the most popular selling lines of colored contact lenses today, with colors both subtle and bold. People who do not need vision correction can order FreshLook colored contacts with no vision correction built in. In other words, they change eye color without changing the wearer’s vision. FreshLook colored contacts are made to be very comfortable. They come in extended wear versions, daily disposables, and one-week disposables. They can also be worn as daily wear lenses (removed and stored overnight) for up to two weeks before they should be discarded. Fresh Look lenses come in boxes of six lenses each. For daily wear, one box would last for six weeks. FreshLook color contact lenses contain a large clear area over the pupil so that any shifting of the opaque part of the lens is much less likely to affect vision by sliding over the eye’s pupil when the wearer blinks. 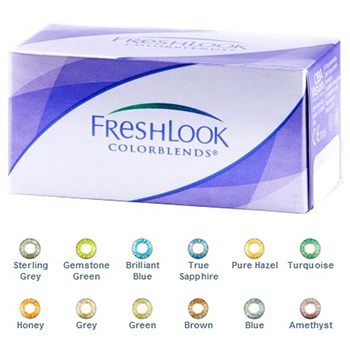 FreshLook Dimensions contacts are designed to add enhanced color to naturally light colored eyes, and they are available in Pacific Blue, Caribbean Aqua, and Sea Green. FreshLook Colors and FreshLook Colorblends are opaque colored contacts that can change even dark eyes to any other color. 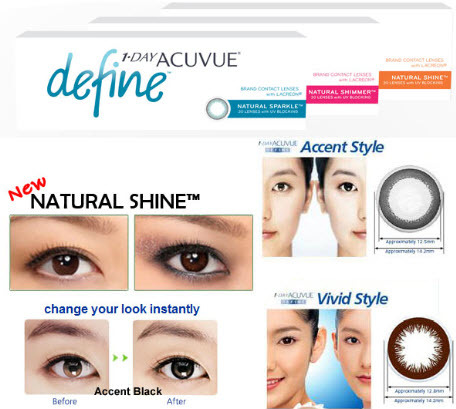 Acuvue is another brand of color contact lenses. Acuvue is easily one of the top brands of contact lenses and has a reputation for high quality and comfort. Acuvue is owned by the parent company of Johnson & Johnson and is sold all over the world. Acuvue Oasys contact lenses are made with Hydraclear, a material designed to keep eyes moist and comfortable. They can be worn up to one week continuously. They also have high oxygen permeability and are impregnated with moisture-rich wetting agents. They can be made to correct for nearsightedness, farsightedness, and astigmatism and also protect against approximately 96% of UVA and 99% of UVB rays. One Day Acuvue disposable lenses are designed to be worn for one day only and then thrown away. It is hard to beat the comfort of a brand-new pair of contacts every day. Because they are dailies, users don’t have to use storage or cleaning solutions. One Day Acuvue lenses are very convenient for traveling, block UV light and are very comfortable for allergy sufferers, whereas traditional contact lenses are worn for several days or weeks risk build-up of pollen, dust, and other allergens. Focus is another brand made by contact lens giant Ciba Vision. Focus Dailies are one of the best-selling brands of daily disposable contact lenses. Other Focus disposable contact lenses include Focus Dailies AquaComfort, Focus 1-2 Week, Focus Dailies Toric, Focus and SoftColors. Most of the color contact lenses sold online are made by Ciba Vision and their many contact lens brands. Ordering contact lenses by post is very easy and only requires an internet connection, a prescription, and a credit card. Millions of people worldwide enjoy the convenience of ordering colored lenses through the internet. Prices are often significantly lower than the prices at opticians’ offices, who frequently have to order your prescription anyway if they don’t happen to have your brand and prescription in stock. Though regular eye care is important for detecting changes in vision, between eye care appointments (which are usually recommended yearly), ordering contact lenses by post is the best solution for most contact lens wearers. It is also a fun way to order inexpensive color contact lenses, which are an easy way of changing your look. Whether you want to have the same eye color every day, or a selection of colors to choose from, there are dozens of reputable online sellers of contact lenses, with very reasonable prices and quick shipping. And because contact lenses are so small and lightweight, shipping charges do not have to be very high. It is important, however, to compare shipping charges when comparison shopping for color contact lenses, because sometimes very low-priced lenses come with high shipping costs, which can make them less of a bargain. In addition to colored contacts, many online contact lens dealers also sell special effect lenses. These lenses are made with unusual colors and patterns, and are perhaps most popular around Halloween, because of the range of strange effects available. Lenses with spirals, starburst patterns, cat-eye pupils, and even teeth design, so that an eye looks like a mouth full of jagged, pointy teeth! These too require a doctor’s prescription because even though they do not correct vision, they are contact lenses, and in the U.S. fall under the purview of the Food and Drug Administration. Beware of businesses that sell special effects contact lenses and do not ask for a prescription, because often their suppliers do not have the level of quality control that known brands and known sellers do. Anyone buying contact lenses must be diligent about safe handling, insertion, removal, and cleaning. Contact lenses should never be shared because of the high risk of eye infection. You must always handle them with clean hands and store them in the recommended solution in a clean contact lens case. That said, contact lenses for vision correction (with or without color) are superior to eyeglasses in many ways. They do not break, they provide optimum vision correction, and peripheral vision from contact lenses is far better than with eyeglasses. Today’s lenses are made from high-tech materials designed to keep eyes moist and comfortable. Today’s color contact lenses represent a vast improvement over the first-generation colored contacts, which often looked unnatural and caused problems from sliding up or down over the pupil during blinking, temporarily partially blocking vision before sliding back into place on the eye. The colors today often consist of blends of different colors in addition to the main color, more closely mimicking the natural coloration of irises, which do not have uniform coloration, but several shades blended in intricate patterns. And the number of colors available has exploded. Even someone with the darkest brown eyes can have eyes of sapphire blue, amethyst, honey, or pale green. The world of color contact lenses also includes fun special effects lenses, which almost always come without vision correction. People buy these contact lenses by post because of the convenience and good prices. Although buying colored contacts over the internet is the ultimate in comfort and often savings, anyone who wears contact lenses – even solely as fashion accessories – should maintain regular eye care appointments so that any changes in prescription can be noted, and so an eye care professional can recommend the best brands for a person’s particular eye anatomy and needs. The commercialization of yoga has led to the opening of many health spas. It has probably also led many people to believe that yoga as a workout need to be done in a spa or a gym. Yoga, in fact, since times immemorial has been a course of training that requires the least artificial accessories. All it needs is the body, earth and air. However, there are some simple rules that form the underlying basis for yoga. 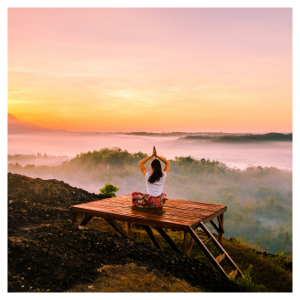 Follow these six simple rules of yoga within the confines of a home or in the open and see how it RENEWS the body and mind. Perform yoga daily. Believe it or not, a 30-minute yoga session daily will be more beneficial than a two-hour session once a week. Also, try performing yoga at the same time every day. Early morning is usually best. The Sun Salutation or Surya Namaskar is a great way to start the yoga practice. It is not a mere coincidence that the name of the pose is derived from the rising sun. Never practice yoga on a full stomach. Let three or four hours go by after a large meal and two hours after a snack. It is best to practice yoga on an empty stomach. Early morning before breakfast is ideal. Being comfortable is key to practicing yoga. Wear comfortable, loose and non-restrictive clothing. Practice on a surface that is clean and non-slip. A yoga mat is helpful for many of the yoga postures. But remember, the ancient mendicants of India who performed yoga did not have fancy mats to practice on A clean non-skid floor is usually sufficient to do most asanas. Yoga should ease, not give pain. If at any point of performing yoga, there is pain, one needs to stop immediately. During practice, find the deepest point of stretch, while it still feels comfortable. The body should never be pushed beyond its limit. 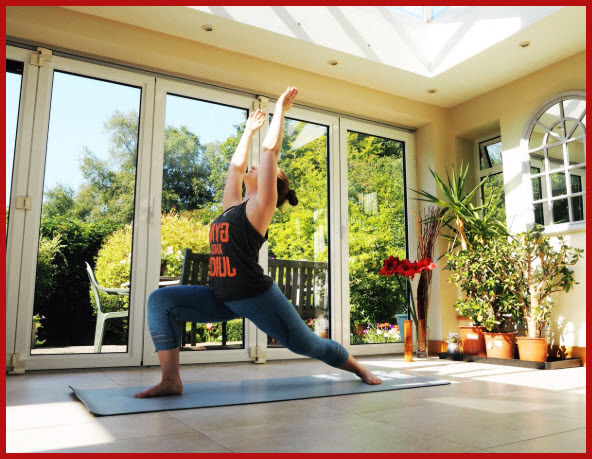 If one has a health condition or is injured, do not practice yoga without the advice of an experienced yoga teacher. For example, when running fever, do not practice the postures or breathing exercises. Women should avoid inverted positions like Sarvangasana (Shoulder stand) and Halasana (Plough Pose) during menstruation. Instead exercise constraint and practice restorative poses like Sapta Buddha Konasana. Concentration in yoga is probably the most difficult to manage. But it is critical to control the mind and not let it escape. One needs to absorb oneself in both breath and body sensations. If one senses that the mind has wandered away, bring it back. Breath is the mirror of the mind. Alteration in one will affect the other. Good breathing is like balm to the body and actually heals. Exercise the breathing poses suitable for one’s constitution. Finish the yoga practice always with Savasana. One can use blankets propped for support or lie flat on the floor. For every 30 minutes spent on yoga asanas, Savasana should be done for at least five minutes. The renewal of the body and mind through yoga is rewarding. Gain a new perspective on life with the complete mind and body workout. It is an experience that is exhilarating to say the least.